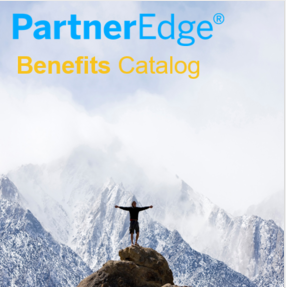 Partner Benefits Catalog running SAP Hybris is just around the corner! As the world of commerce continues to change, PSD is giving their partners a consistent and meaningful experience with SAP Hybris too. A modern and partner tailored commerce solution will deliver consistent and relevant content regardless of channel or touchpoint. And it’s not only about customer experience. For us, SAP Hybris will let us know what partners have done, what they may do, and most importantly, what they are doing now. The official announcement will be in January 2017. Stay tuned for more information! Explore SAP Hybris Cloud for Customer, SAP Hybris Commerce and SAP Hybris Marketing on SAPPartnerEdge.com or get social on the Customer Engagement & Commerce Solution Collaboration Room. Collaboration Rooms provide opportunities for you as SAP Partner to expand your learning experience through interaction with your peers and SAP subject matter experts, to find the training you need for your role, to join exclusive partner only events, and more. Select the Collaboration Room of your choice, and click the “Access” button. That’s all it takes to join! Please note that you must be logged in to SAP Learning Hub with an active session prior to accessing any of the links. Speaking of SAP Hybris and the SAP Partner Benefits Catalog, you should check out the SAP Hybris Customer Engagement and Commerce Enablement in a Box resource under the “Innovations” tab in the Catalog. The Box provides the enablement you need to help increase your revenue stream with SAP Hybris Solutions and it provides a comprehensive overview on how to increase the value of the digital transformation.